Wild covers a broad spectrum of sources, including some rarely, if ever, cited by other conditionalist writers. Although he is fairly dependent on Froom for his survey of the Church Fathers (he admits as much—and why reinvent the wheel? ), he offers a large body of sources from modern philosophers and theologians. These are mostly in favor of CI, but also include some of CI’s critics. CI is often dismissed as being either a fringe notion, or completely absent from historical tradition. For example in Albert Mohler’s contribution to Hell Under Fire,2 “Modern Theology: The Disappearance of Hell,” Hell Under Fire. (Grand Rapids: Zondervan, 2004.) which suggests that apart from Arnobius, CI was essentially unknown until quite recently. But by presenting both supporters and critics, Wild shows that at various times, CI has been a notable position. However, the book does have some obvious flaws. 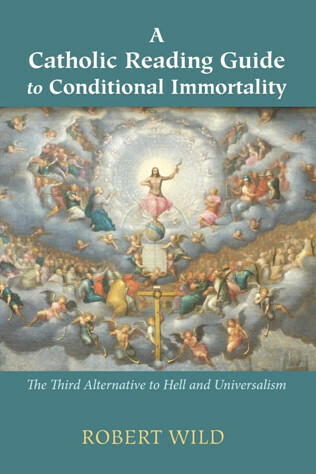 The framing of CI as an alternative to hell is problematic because 1) conditionalists still affirm a belief in hell, and 2) we don’t hold to it because it’s a better alternative, which almost feels like we are motivated to react against the traditional doctrine, instead of by the arguments for CI. Wild does, to his credit, affirm that the evidence suggests CI was the norm in the Apostolic Fathers, and thus represents the earliest interpretation of the Scriptures. But the use of the terminology of “alternative” seems to weaken that. Perhaps speaking instead of the need for a “corrective” and referring to “eternal torment” instead of “hell” would have clarified these matters, and avoided ceding the term “hell” to advocates of eternal torment. Because this is a reading guide, we get very little of Wild’s own thoughts, until the final summary section. He admits that this is beyond his intention (allowing historical authors’ own words to speak for themselves, and so he becomes an editor and compiler rather than author). Still, it would have been beneficial to not only present the arguments of others, but to also provide his own commentary and interaction with the primary source material. It would have been worthwhile to see greater engagement with the arguments he summarizes and presents in lengthy quotes. Many sections of the book consist of long quotes, or strings of quotes, with no commentary or paraphrasing by Wild himself. The book would likely have been strengthened with more engagement, and by presenting the arguments of others more often in Wild’s own words. Overall, it’s a good resource. 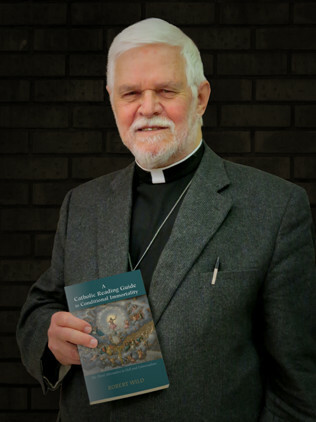 If it gets widely read, it will likely generate positive discussion and hopefully bring Roman Catholic readers into greater conversation with evangelical conditionalists. Many wrongly assume that the matter has been decided in favor of eternal torment, and that further discussion is not appropriate. But Wild’s book can help challenge those assumptions, thanks to the strength of his case, and his courage in affirming a doctrine which runs counter to the dominant position of his tradition. It remains to be seen what eventuates, but robust discussion on hell among Catholics—and even between Catholics and evangelicals—could potentially be on the horizon. 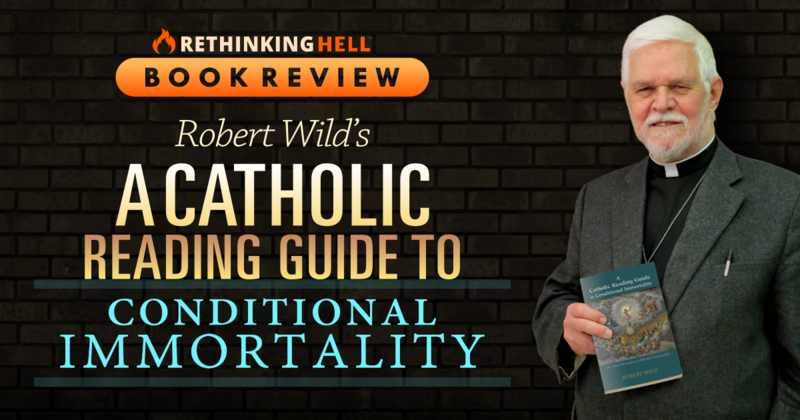 Readers of this review may be interested in Robert Wild’s paper summarizing his book, as presented by Peter Grice at the Rethinking Hell Conference in Auckland, July 15th, 2017. 2. ￪ “Modern Theology: The Disappearance of Hell,” Hell Under Fire. (Grand Rapids: Zondervan, 2004. Graham Ware is currently Pastor of Centre Street Baptist Church in St. Thomas, Ontario. He holds a BA in History, minoring in Biblical Studies from Atlantic Baptist University (now Crandall University) and an M.Div. from McMaster Divinity College. His blog and sermon podcast can be found on the church’s website and he can be found on Twitter (@deo_favente1). His other passions include football (actual football, not the American version) supporting Chelsea FC, as well as reading, coffee, craft beer, and being a husband and dad to three daughters.